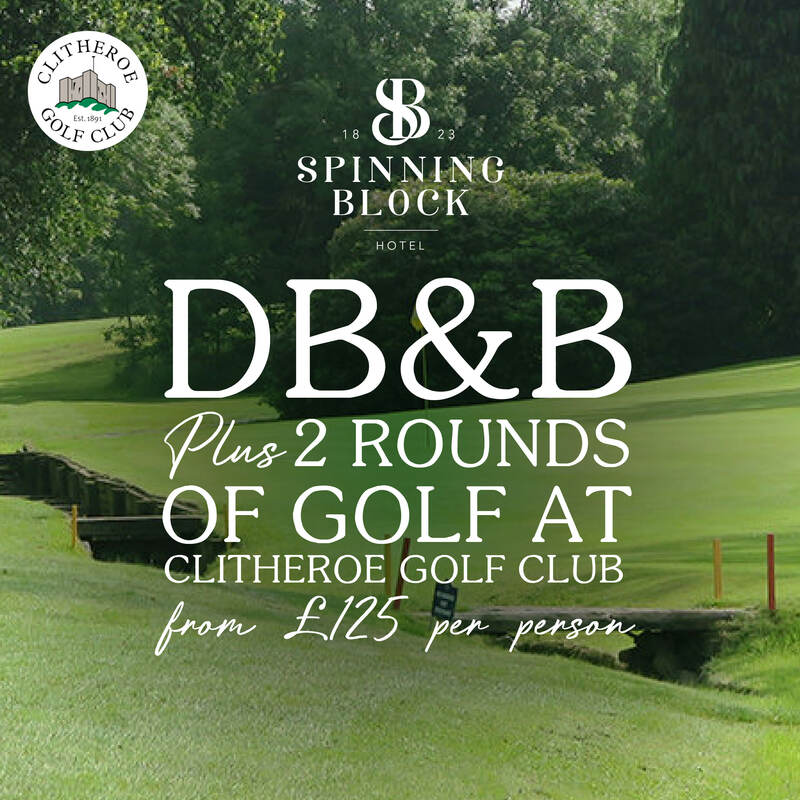 Enjoy our Spinning Block DB&B offer with two rounds of golf at Clitheroe Golf Club from £125 per person! WANT TO BRING YOUR PARTNER? Double occupancy with golf for two is an extra £100 or for DB&B only an additional £45. Terms & Conditions: Offer is based on single occupancy in a classic double room on a Sunday night with afternoon tee time on the Sunday and a morning tee time on the Monday. Offer excludes Bank Holiday weekends and is subject to availability.